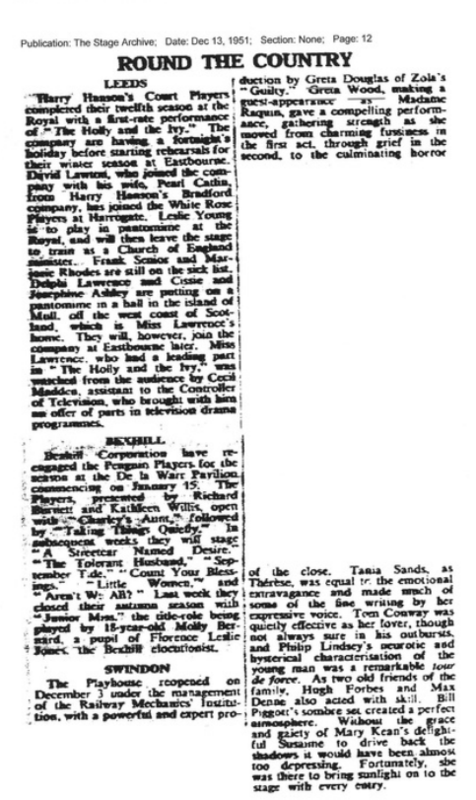 The Stage, 13 December, 1951. The Playhouse, Swindon. "The Playhouse reopened on December 3 under the management of the Railway Mechanics' Institution, with a powerful and expert production by Greta Douglas of Zola's "Guilty". Greta Wood, making a guest appearance as Madame Raquin, gave a compelling performance, gathering strength as she moved from charming fussiness in the first act, through grief in the second, to the culminating horror of the close." 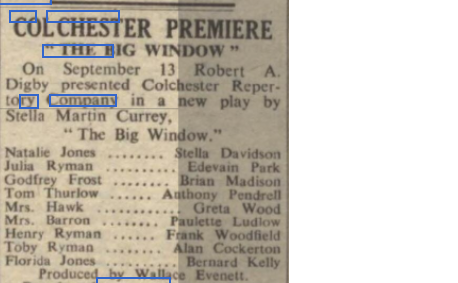 From The Stage - Thursday 18 September 1952.